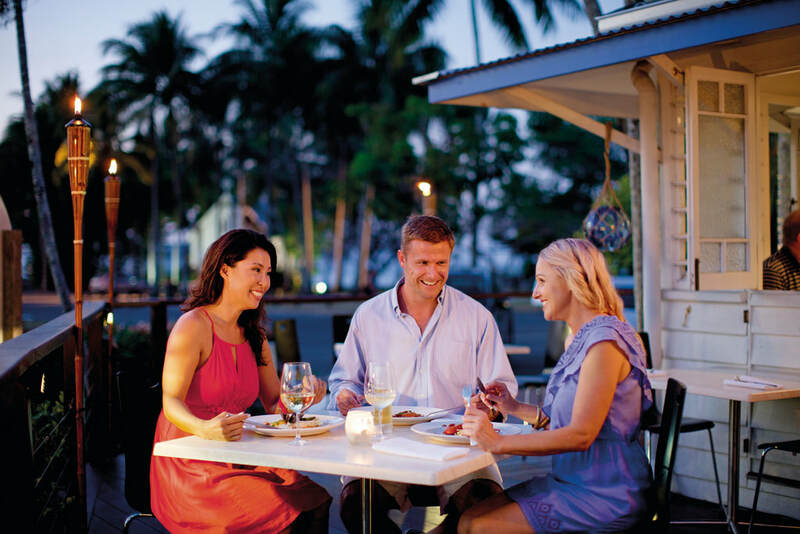 Head to tropical Port Douglas for a short refresher. It’s a breeze. The inflatable yellow raft bobs excitedly in the water beside me while my hand firmly grips the rope handle on the front, ensuring it won’t slip away and escape down the rapids. Just an hour ago I was stepping out of an airliner onto the hot Cairns tarmac. Now I am in a full body wetsuit knee-deep in the Mossman River of Port Douglas. 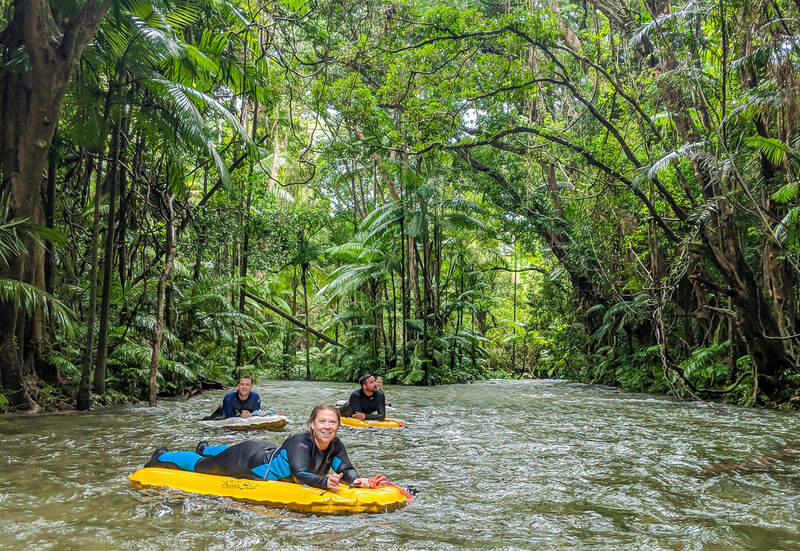 Our group of six are embarking on a river-drift snorkelling adventure in the Mossman River, situated beneath the Mossman Gorge. The freshwater river is so pure, our guides Glen and Will inform us, is so pure it can be drunk. In fact, they encourage it. Zig-zagging down rapids and snorkelling when the water is calmer is how we spend the next three hours. Translucent fish the size of my thumb swim in large schools beneath the surface and large rocks cover the river bed. When the water is tranquil our rafts transform into makeshift lounges and we sit atop them, our legs dangling over the edge as we let the current lead us down the river. During these serene moments, Glen and Will relate the history of the vegetation surrounding the river. The trees, ferns, and other plant species, we’re told, date back to Gondwanaland and are believed to be around 300 million years old. With the pride in their voices and the knowledge they possess about the ecosystem, it’s clear no two other people could love the Mossman River as much as they do. It’s as if we are floating through prehistoric times. The AquaQuest lurches in the swell as it makes its way towards the outer perimeter of the Great Barrier Reef. Many of us are sitting outside on the upper deck in the hope of warding off seasickness and the fresh air proves helpful for some.. The rocky two and a half hour journey across the Coral Sea comes to an end at the first dive site - St. Crispin’s - and any thoughts of seasickness are quickly forgotten as excitement fills us. That’s our call and all introductory divers, including me, make our way down to the bottom deck. 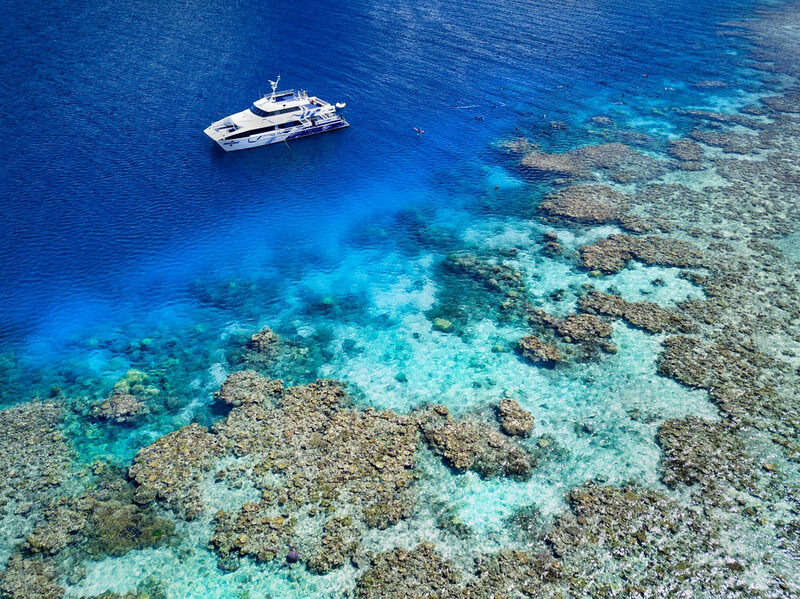 The much-anticipated descent to the Great Barrier Reef is about to begin. Our instructor, Kai, gives us an in-depth safety briefing and talks us through the use of our scuba equipment. Sundresses and board shorts are quickly swapped out for wetsuits, weight belts and tanks. I find my tank a bit heavier than expected, but what did I expect? This is my first scuba dive and we all wobble comically, laughing nervously as we attempt to get to our feet. Diving underwater for the first time can be frightening and some our group get a bit panicky the second our heads go beneath the surface. After several practice goes, we’ve overcome the instinct to rush back to the surface and breathing underwater becomes slightly less terrifying. Kai assesses us individually and gives us the thumbs up (down actually, which means, ‘let’s dive’). Initially, the water is murky, thanks to recent storms, and not much can be seen. However, at three metres and below visibility improves and we begin to see coral in pastel hues of green, yellow and purple. The coral isn’t as bright as you see in the brochures, but Kai says that this is actually a good sign because when coral is stressed it releases algae, which causes it to become brighter in colour. So, the slightly subdued colours we see indicate a healthy reef. Tiny bright blue damselfish skirt past us while clownfish weave in and out of the coral and rock hollows. A large cod glides inches above the ocean floor and not far behind it is a wrasse, distinguishable by its trademark thick lips. Schools of zebra-striped surgeon fish flit by and disappear further down along the reef. 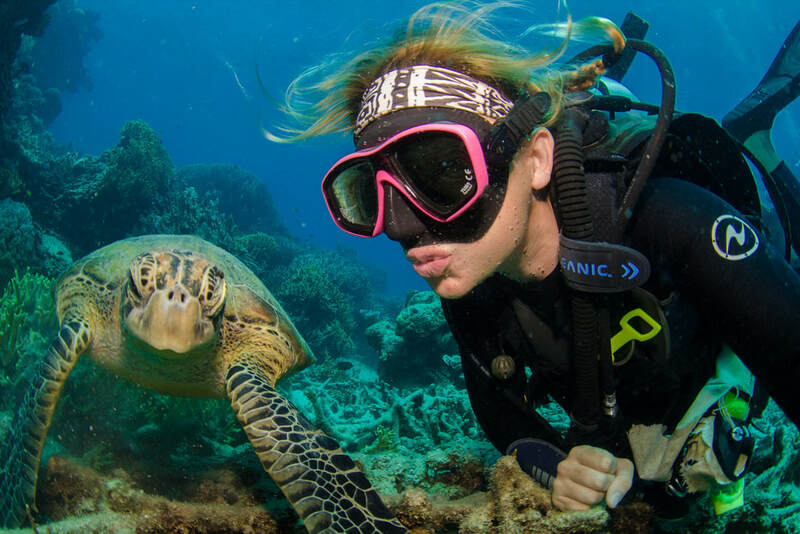 The marine life of the Great Barrier Reef is on full display. Once back in the boat we remove the heavy diving gear and Kai starts to tell the story of how this dive site got the nickname Gone Again. It is a homage to the American couple who went missing in 1998 in the very same waters we’d just emerged from. We turned to each, mouths agape, glad he hadn’t mentioned this before. On our third day in Port Douglas the sun had definitely come out to play and the temperature nudged 30 degrees. After a magnificent tropical breakfast at the Sheraton Mirage Hotel, it was time to visit the Port Douglas Markets. These markets are renowned for their wide variety of fresh produce and that is exactly what immediately greets us. Colourful stalls are filled with bargain-priced fresh fruits and vegetables like avocados at just $4 a bag as well as more exotic foods like flavoured coconut chips, vanilla bean and cacao ice-cream, and pomegranate teas - all there for anyone with slightly more adventurous taste buds. Food, however, isn’t the only feature of the markets. 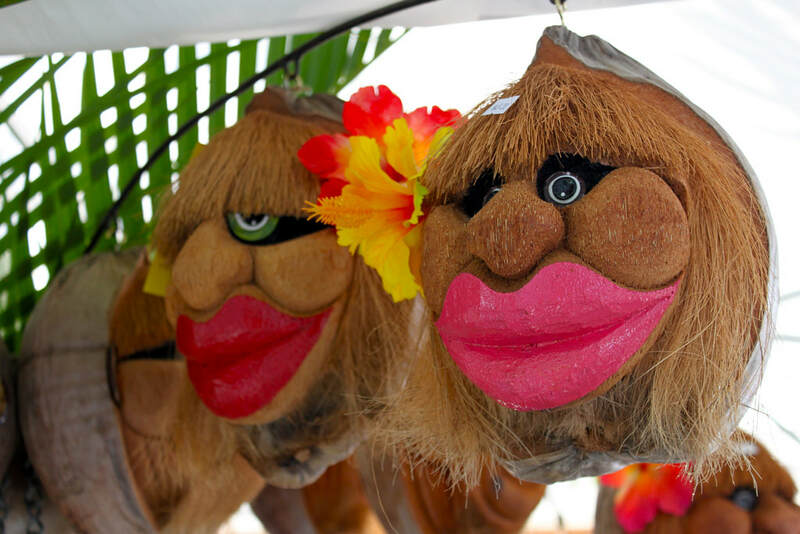 Stalls displaying all sorts of peculiar trinkets and salves like ‘magic’ crystals, crocodile facial oil, handmade ukuleles, pom-pom earrings, conical rainbow candles and silver turtle rings are there to tempt eclectic tastes. When the adventure is done, spending some relaxing time at the markets is the perfect way to wind down a wondrous and thrill-packed weekend in Port Douglas. Easy does it.